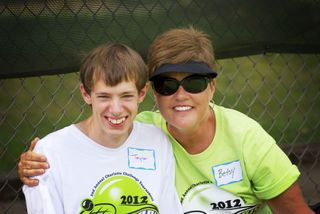 2nd ANNUAL CHARLOTTE FALL TENNIS CHALLENGE--A GREAT SUCCESS! 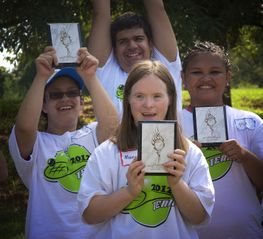 Athletes competed in different ability divisions including: Skills, Short Court and Match Play. 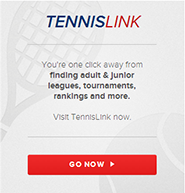 The first half of the day was dedicated to competitive singles play. 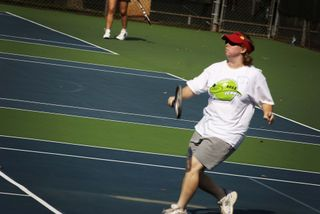 Later in the afternoon, volunteers picked up their racquets and paired up with Special Olympics athletes for some Unified doubles competition. The local community got involved as close to 70 volunteers helped throughout the day. 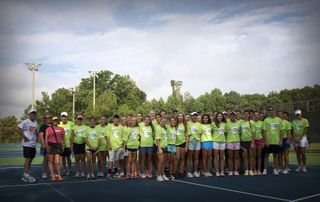 We want to recognize and thank all of our volunteers, and give a special thanks to our Teen Board members who helped organize all of the days "off court" activities. In addition to our volunteers, we want to recognize the corporate sponsors who contributed to this great event: AmWinns Group, Canteen, Chick-fil-A and Café Nirvana. 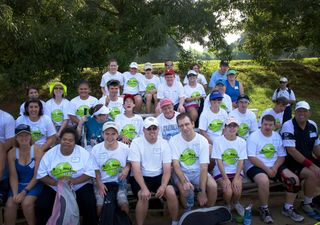 You all helped make this a very special day for the athletes. Thanks again to our many dedicated volunteers!